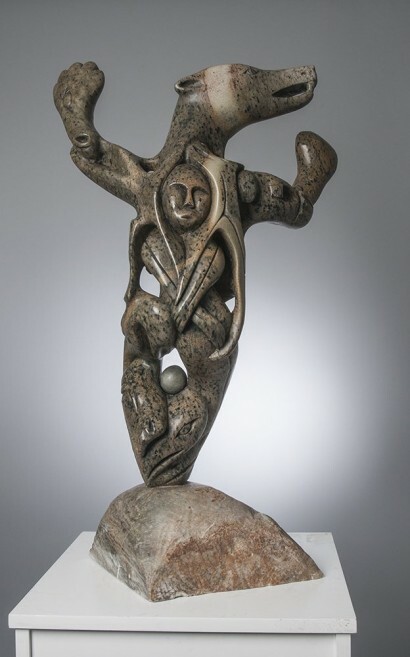 This sculpture mimics the drum dancing movements of an Inuk drum dancer. 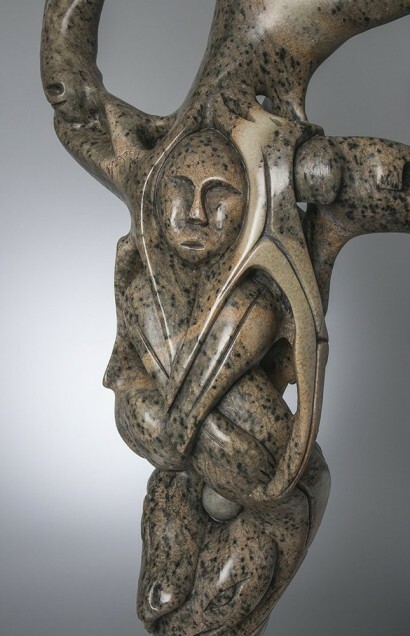 The images carved throughout represent animals, birds and spirits of the arctic world, where all life is interconnected. Also, in Inuit mythology, Nanook was the master of bears, meaning he decided if hunters deserved success in finding and hunting bears. 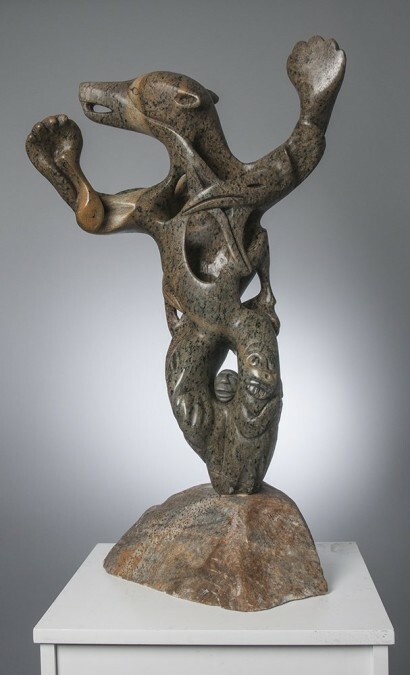 The Inuit believed that Nanuk, the Polar Bear, was powerful and mighty and that he was “almost man,” and the Inuit hunters would worship this great bear because they believed that he decided if the Hunters would be successful or not that day. “In the past, the Inuit ate polar bear meat and used the fur to make warm trousers for men and kamiks (soft boots) for women”. Respect was given to Nanuk by the hunter hanging the bear’s hide in a special section of his igloo, where it would stay for several days. They would also offer the bear’s spirit weapons and other hunting tools if it was a male, and needle cases, scrapers.